"Never miss a chance to be charming".....is the motto of apparel designer Sandee. As soon as I saw her gorgeous skirts, I definitely believe that she doesn't ever miss a chance to be charming. Her designs and her Etsy shop exudes charm, personality and uniqueness. 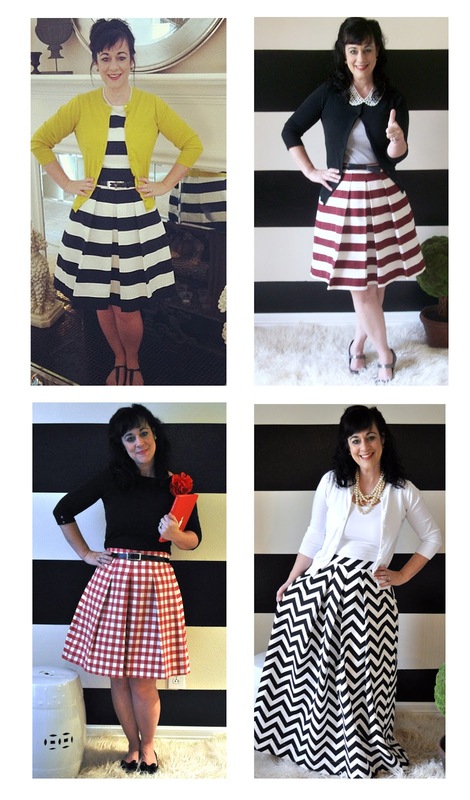 Her skirts would elevate any tailgate or gameday with their bold colors and classic patterns. The skirts are custom made, which is perfect for creating a one-of-a kind gameday skirt in your team's colors. I know my Aggie friends will love her Maroon and White Texas A&M Katie Skirt.